Satisfy your craving for delicious Gluten Free food with this new cookbook containing 150 fantastic recipes! This new Gluten Free cookbook contains GF versions of all your favorite foods, including Chocolate Chip Cookies, German Chocolate Cake, Cannelloni, Chicken Tomatillo Tamales, Lasagne, Tiramisu, Banana Bread, French Onion Soup, Irish Soda Bread, Blueberry Muffins, and many more! With this book, you never have to make "excuses" for the Gluten Free food that you serve your friends and family. Using these recipes, Gluten Free food tastes just as delicious as its gluten-full versions. We promise that you will not be able to tell the difference in taste or texture! 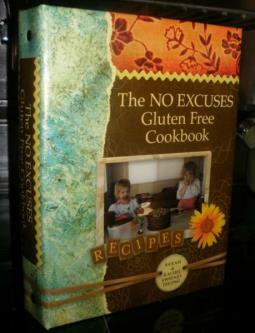 Discover recipes that you will use again and again in "The No Excuses Gluten Free Cookbook".